I believe our relationships are becoming debilitated by technology. 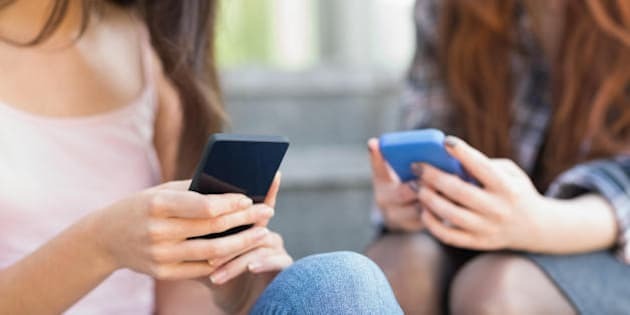 Digital communications are tone deaf and as close as we feel when someone is a few finger-taps away, we're not actually connecting with them. Social media makes the world smaller for strangers but widens the gap between you and those you love. It's ruining relationships by creating a divide. Even when we're together, likely we are each on our own phones. Our attention is constantly jumping around and we aren't giving our full attention to anything anymore. We are so quick with our fingers that our feelings can't keep up! Use emojis as a tool. A huge part of our communication is non-verbal. Facial expressions, body language, tone - these are all things that get lost in the digital world. We are likely only getting 50 percent of our message across and that's causing problems for our relationships. You can't see body language in a text message. That's why emojis exist - to help drive home our meaning when digital messages can't express it fully. There once was a time when all we could send was a smiley face or a frowning face, but today there's a plethora of emojis out there to choose from. Sometimes what you text can seem perfectly clear to you, but can be misconstrued by the recipient. For instance, some people consider exclamation marks to be a sign of enthusiasm where others consider them yelling! Why not add in those happy, smiley emojis afterwards to ensure your partner, friend or colleague knows what you meant. "I am only responsible for what I say not what you understand." We can only be responsible for ourselves and the message we send out. As long as we express ourselves to our loved ones as genuinely as possible, we have done our part to get our message across. You can't control the way someone else ultimately interprets your meaning, and you can't always capture intent through text and email. It can just take one misunderstood communication for someone to jump the gun and disregard years of friendship or love. Unfortunately, you can only control what YOU say not how it's understood. Be mindful of the response. Always remember that what you put out there is going to be received by someone else - and although you can't be responsible for how you are understood, you need to be mindful of your words and actions. A great quote I came across says "Before you assume, learn the facts. Before you judge, understand why. Before you hurt someone, feel. Before you speak, think." It's important to think about other people when you're using digital media; it's so easy to just think of ourselves. When we see something online that we don't like, we need to consider that there may be reasons behind it that we don't understand. Maybe they're having a bad day? Instead of reacting harshly, why not reach out sympathetically? This relates to unfollowing people too. It's one thing to unfollow someone you don't know, but what message are you sending when you unfollow a friend or loved one? Is it a passive form of cyber bullying? When so many people have apps that show who's unfollowing them, it's important to be mindful of all your digital actions when it comes to the ones you love. "Never make permanent decisions on temporary feelings." I love the above quote by Wiz Khalifa and it's so true because we really do react quicker on digital media than we do in real life - and we often end up with 'finger fever' regret. So, take a minute to pause and reflect before responding to something online that upsets you. Reacting too quickly can lead to anxiety and rash decisions. As Seth Godin says, "I define anxiety as experiencing failure in advance." When we jump the gun, we might create something negative out of something that could have been positive or a non issue. I believe it's important not to fix digital mistakes with digital solutions. If you've messed up online, fix it in person. Call someone, go see them, and give them a hug! Sensitive discussions should always be done in person - take them offline as quickly as possible. We can reach out to our loved ones via text or social media, but we aren't able to actually touch them - to hug them when they are upset or pat them on the back for a job well done. This is important because seeing someone's reaction in person helps you better understand how they are feeling - you can't do that online or even on the phone. And although phone calls are better than texts, NOTHING beats being there for real. "The worst distance between two people is a misunderstanding." There is a great saying..."When someone shows you who they really are, believe them." Digital actions speak volumes. But if we take responsibility for the messages we send, use the tools we have to help get across our meaning, pause before replying hastily and take the time to understand why our loved ones share what they share, then hopefully we will avoid too much misunderstanding. We all need to get used to these new relationship rules in our digital world -- so let's be more mindful, open minded and empathetic to each other while we're in it.